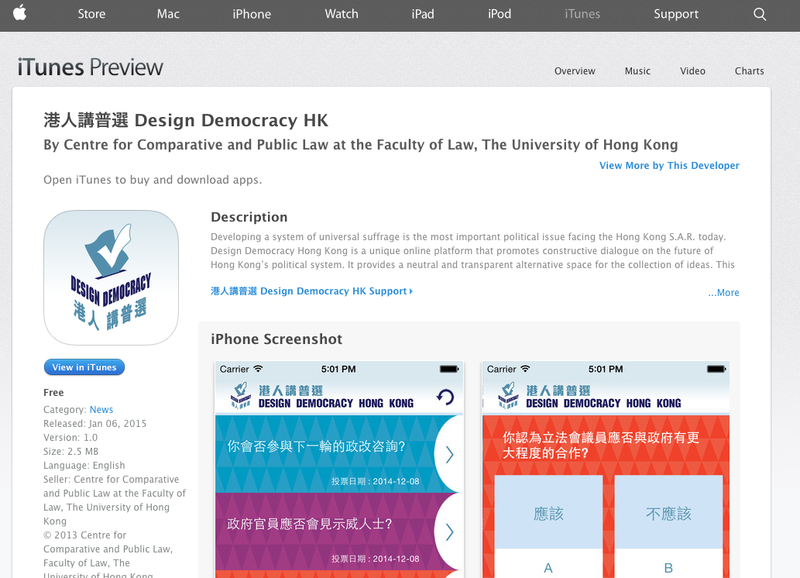 The Centre for Comparative and Public Law's Design Democracy HK project recently launched a mobile app as the government's second round of consultation on political reform gets underway. 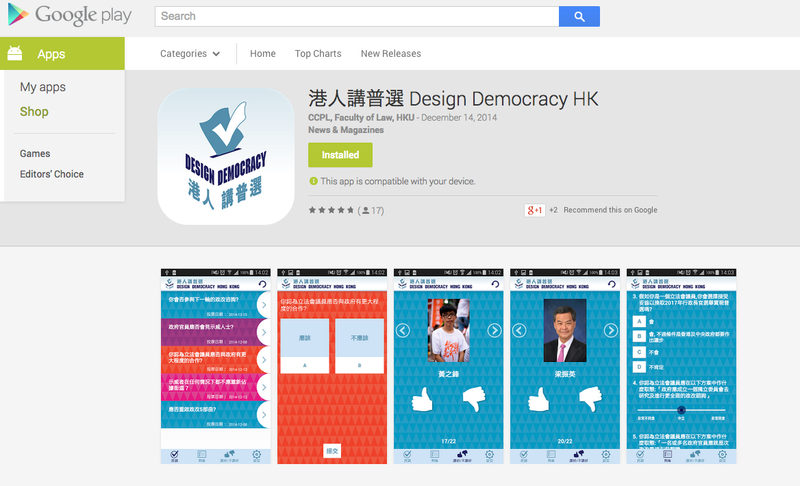 The DDHK mobile app (available on Android and iOS platforms) features three main functions to promote political discussion and debate. The polling function allows users to express their views on the leading reform questions of the day. The survey function asks fundamental questions about the direction of the political reform exercise after the Occupy protests. 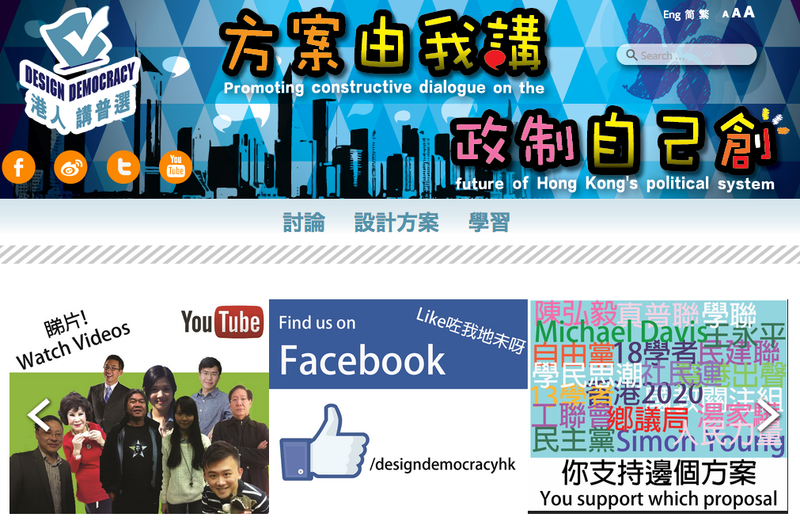 The vote up/vote down function is meant to be a fun feature that allows users to express views on the performance of the different leading personalities in the political reform debate. To download the app on the Google Play Store, click here. To download the app, on the Apple App Store, click here. Great This really is one of the best blogs I've ever come across on this subject. That’s great. They deliver a best way where political leaders promote our campaign and interact with the public. On the other hand public can also share our views easily. I really appreciate this work of online web app development firm. They are using technology in a proper manner. They introduced best mobile app which is useful for political activities. Similarly event app android is also a good example to used technology in proper manner. From the political discussion and debate its also been cleared that how to used out and design the democracy and building about the mobile App ideas just been more essential here.